Gareth Bale’s agent Jonathan Barnett has rubbished reports that the Welshman could exit Real Madrid anytime soon. There are speculations that that Bale could return to the Premier League in light of Madrid’ chase of teenage sensation KylianMbappe. Real Madrid coach Zinedine Zidane also fueled this rumours when he claim the ‘BBC’ might split this summer. The Frenchman cannot guarantee that Cristiano Ronaldo, KarimBenzema and Bale would remain together in the forthcoming season. 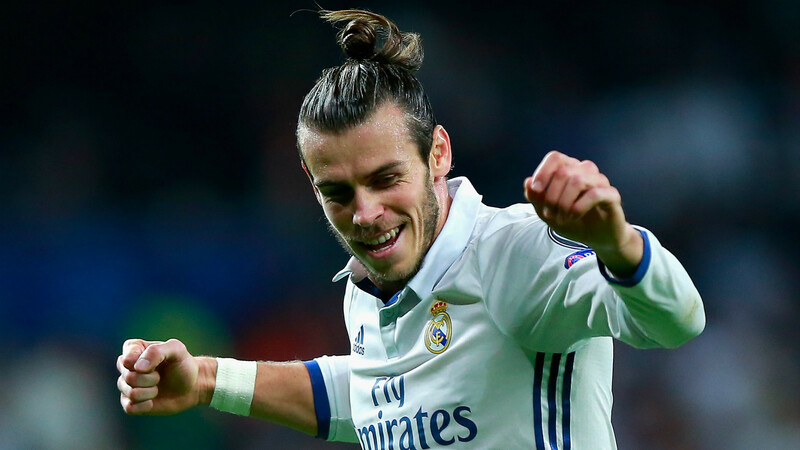 All these have prompted talks that Bale might exit the La Liga with a likely return to the Premier League. However, Barnett dismisses all this talk.“It’s a ridiculous, stupid story,” he said. Unlike his the previous season Bale’s contribution to Los Blancos was limited last term. He lost his starting role in the setup to Isco, who took the opportunity with both hands to develop his skillset. Bale was expected to rival Ronaldo at the Bernabeu when he completed his record move to Spain. However, the Welshman struggled initially. With time he found his rhythm and started dictating play at the club. He flourished when Zidane took over and was even named in the 30-man shortlist for the 2016 Ballon d’Or when Madrid lifted the Champions League. Madrid have been linked with a move for Mbappe before this summer window closes. If the French teenager joins the ranks, a less than impressive Bale might lose his spot in the team or be ready to play from the bench. “I want everyone who is here now to say but anything can happen right up until 31 August,” Zidane said and this is not good news for Bale. He was supposed to be that superstar but he has not been able to live up to expectations so Madrid could sell him now before his valuation drops further.